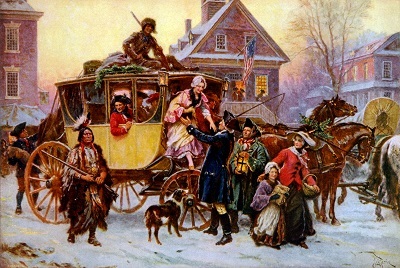 After the Revolution, many Americans put aside old English traditions, including Christmas, to establish their own beliefs and ways of doing things that fit with their unique American identity. 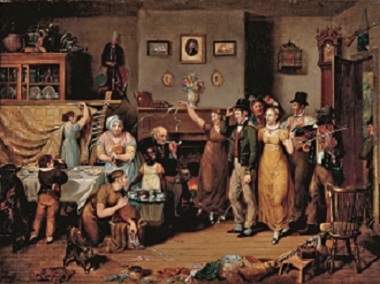 In the first half of the 19th century, as more Americans started to celebrate the holiday again, they transformed Christmas from a noisy festival into a day to celebrate family, friends, and goodwill. In the early 1800s a person’s religious beliefs played a major role in how they celebrated the holiday. For instance, Protestants like Episcopalians and Moravians, held religious services at Christmas and got into the spirit of the holiday by putting up seasonal decorations. Other denominations honored the holiday with music, parties, eating, and drinking. Calvinist Christians and many other puritan based communities didn’t celebrate the day at all. Before the Civil War, Christmas was celebrated differently in the North than the South. Northerners who lived in states with puritan influences didn’t observe the holiday and felt Thanksgiving was a more appropriate holiday to celebrate. For most Southern Americans, Christmas was a major community event with parties, get-togethers, and gatherings. In fact, the first states to make Christmas a legal holiday were Dixie states: Alabama in 1836, followed by Louisiana and Arkansas in 1838. By 1860, 14 other states had followed. And, in 1870, Christmas was officially proclaimed a federal holiday by President Ulysses Grant. New Christmas songs came out, American carols rather than English ones, such as “It Came Upon a Midnight Clear “written in 1849 by Edmund Sears, a Unitarian Church pastor. Seven years later “Jingle Bells” was composed by James Lord Pierpont, who was J. P. Morgan’s uncle. And, a year later, John Henry Hopkins Jr. clergyman and hymnodist wrote “We Three Kings of Orient Are” as part of a Christmas pageant for his nieces and nephews. 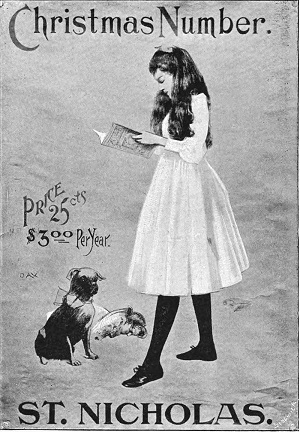 Children’s books played a key role in spreading Christmas traditions, especially those of trimming the trees and of Santa Claus bringing gifts. From the 1800’s to the 1940’s, a children’s journal called “St. 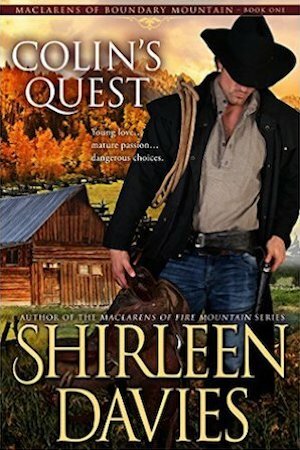 Nicholas”, written and designed for families out West who lived in isolated areas, offered 500 pages of stories, poetry, contests, games, and crafts. It proved exceptionally helpful in keeping children entertained during the long winter months on the frontier. Also, Christian denominations began to put aside religious distinctions regarding the meaning of Christmas and celebrated the holiday in Sunday school classes. Women’s magazines ran features on decking the halls for the holidays, as well as articles on how to create these decorations. Christmas developed into an important holiday for families to celebrate at home. 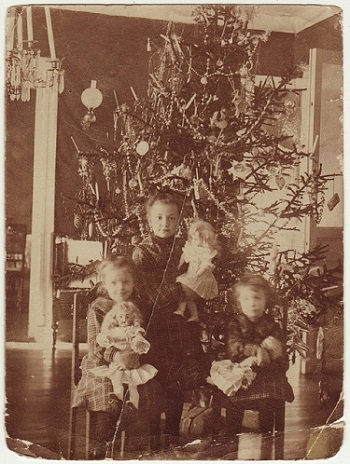 Influenced by German immigrants, Americans began setting up an evergreen tree in their house for the holiday and putting small candles, sweets, and toys on its branches. The 14th President of the United States, Franklin Pierce, is credited as the first one to set up a Christmas tree in the White House. Christmas Trees were first sold commercially in the United States in 1851 and were randomly cut down from the forests. Americans also began to follow the European tradition of giving Christmas gifts. 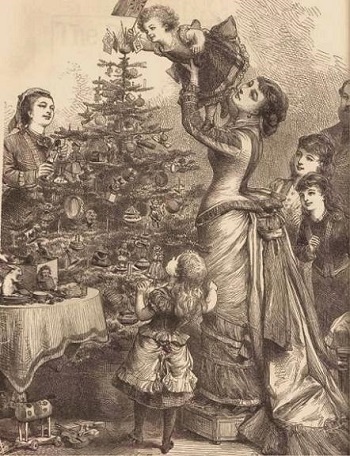 By the last quarter of the nineteenth century, Americans enthusiastically decorated trees, caroled, baked, and shopped for the Christmas season. In the mid-1800s, the pioneers, cowboys, explorers, and mountain men, who blazed trails to the west, held modest but merry Christmas celebrations. 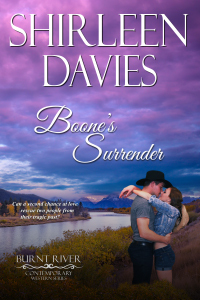 On the frontier, you could find soldiers at out-of-the-way outposts singing Christmas carols and roasting a holiday dinner of venison over an open hearth. And, pioneer families in rugged log cabins making presents for each other. Though they didn’t have sparkly trimmings or bountiful feasts, their Christmas traditions, like our modern ones, involved family, food, and fun. These settlers were far away from their families in the East and didn’t have a lot of goods or money on hand to have a big Christmas celebration. Food, gifts, and decorations were hard to come by on the frontier, so they had to be creative in making their own. Hardy pioneers decorated their homes with whatever they could find: boughs of evergreens, pinecones, holly, nuts, berries, or hand cut snowflakes. Some might even have a Christmas tree they’d decorate with clipped pictures, old buttons, lace, ribbons, strings of apples, paper chains, yarn, berries, popcorn, dried fruit, and homemade ornaments crafted of cloth or carved wood or dolls made of straw. Cookie dough ornaments and gingerbread men were also popular. For those who set candles on their Christmas tree, they lit them just once, then dimmed them to prevent a fire. Some pioneers lived where wood was too scarce for them to have a Christmas tree, so they’d fasten wooden scraps together in the shape of a tree or gather sagebrush and hang Christmas ornaments on it. Every home had some kind of Christmas dinner, whatever they could manage. Pioneer Christmas menus varied a great deal. Traditional Christmas food of the period included roast beef, turkey, ham, potatoes, pickles, white bread, fruitcakes, cookies, puddings, and pies. Chocolate, tea, and coffee were imported and not always available. The settlers usually set out preserved fruits and vegetables, along with fresh game if possible. The pioneer women began baking for the Holiday weeks ahead of time, leaving the plum pudding to age in the pot until Christmas dinner. While some Christmas presents were ordered from catalogs, most were handmade such as dolls, clothes, and toys of all sorts. Months before Christmas, family members began crafting homemade gifts like corn husk dolls, sachets, carved toys, pillows, footstools, knitted winter accessories, and embroidered handkerchiefs. If the family had a good year, the children might find candy, small gifts, cookies, or fruit in their stockings. On Christmas Eve, Pioneer families sung carols around the Christmas tree or fireplace. On Christmas Day, most would attend church, return home for the traditional Christmas meal, and spend the day visiting with friends and neighbors, singing, playing games, and enjoying each other’s company. Even the most basic present day Christmas celebrations are filled with a sense of awe and gratefulness, and it was the same for the pioneer families of the 19th century.